The Dolan Technology Center has extensive battery testing capabilities with our three main battery testing systems: the CADEX C7400ER, an Arbin BT-2000 and an Arbin BT-ML. 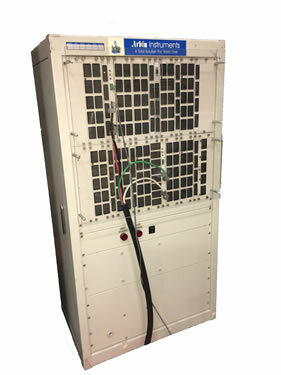 With these three systems, the DTC has the ability to test a wide variety of battery chemistries, and other energy storage devices, ranging in voltage between 0 and 100 VDC with currents ranging from 0 to +/-100 Amps. With the CADEX C7400ER we can test batteries with voltages ranging from 1.2 to 36 VDC and apply charge and discharge currents up to 6 Amps. 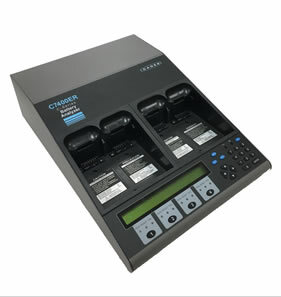 This is a four channel system with each channel capable of supporting 75 Watts of charge/discharge power. With this system we can assess the condition of a battery and can also perform life cycle testing of a battery. This system has been used extensively to determine the useful capacity of various batteries and has helped to identify weak or failing units. 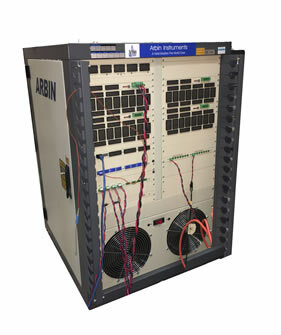 The two Arbin units are significantly more flexible in both hardware and software programmability. The flexibility allows them to be used on higher energy batteries, super capacitors and other energy storage devices where in-depth analysis is required to understand charge and discharge characteristics or where highly customized battery testing algorithms are needed to quantify an energy storage device’s ability to meet a particular need. The Arbin BT-2000 unit is a two channel system with an available output voltage range of 20 - 100 VDC and a capacity of +/- 50 Amps per channel which can be paralleled to obtain a maximum possible charge/discharge current of 100 Amps. The Arbin BT-ML, our newest unit, is a 4 channel system with an available output voltage range of 0 – 60 VDC and a capacity of +/- 20 Amps per channel and again, the channels can be paralleled to allow a maximum charge/discharge current of 80 Amps. This new system also has the ability to monitor 8 channels of thermocouples and provides 8 channels each of Digital I/O. Both Arbin systems offer the following features: Constant Current, Constant Voltage, C-Rate (output based on the device’s capacity), Constant Power, Constant Load, Current Ramp, Voltage Ramp, Current Staircase, Voltage Staircase, Internal Resistance, Constant Current and Constant Voltage as well as the ability to create loops and cycles within the programming interface. All of the battery test systems have extensive logging capability, to capture and graph any available test parameter. We have the ability to simultaneously thermally stress and test energy storage devices by utilizing one of our many environmental chambers to quantify in detail the device’s charge and discharge characteristics over a wide range of environmental conditions. Let the Dolan Technology Center be your source for testing your energy storage devices.